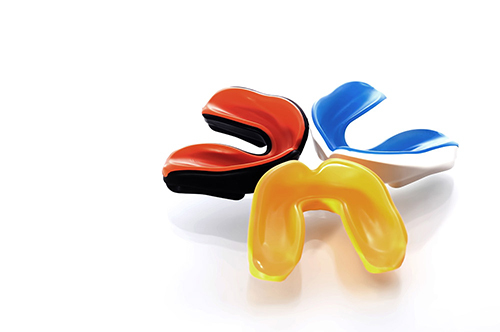 A mouthguard is a soft plastic appliance that fits over the teeth. When a properly designed, custom-made mouthguard is worn, the lips, cheek, tongue and jaws are protected, as well as the teeth. The American Dental Association estimates that mouthguards prevent 200,000 injuries each year in high-school and college sports alone. Our Mouthguards are vacuum-formed custom fitted so they stay in place without having to bite. Be on the safe side of the statistics and call us today to get fitted. Contact us for more information about Sport Mouthguards.